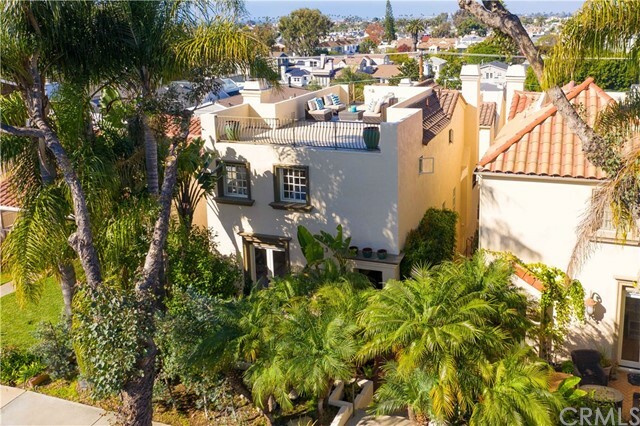 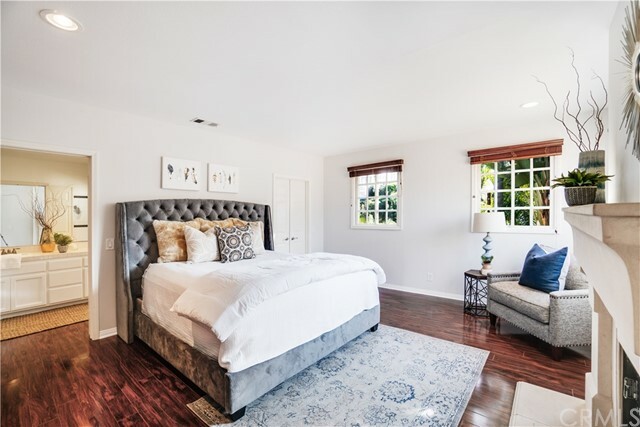 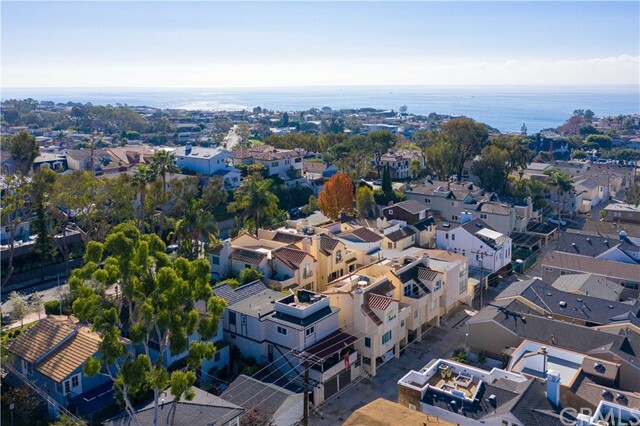 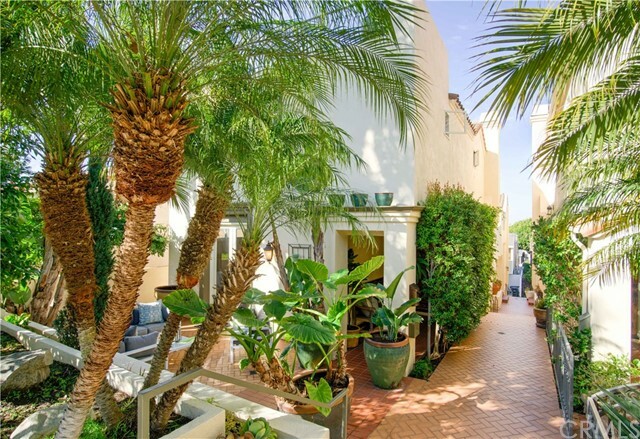 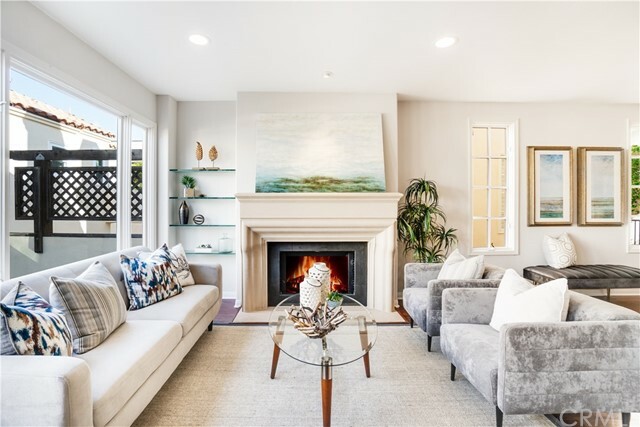 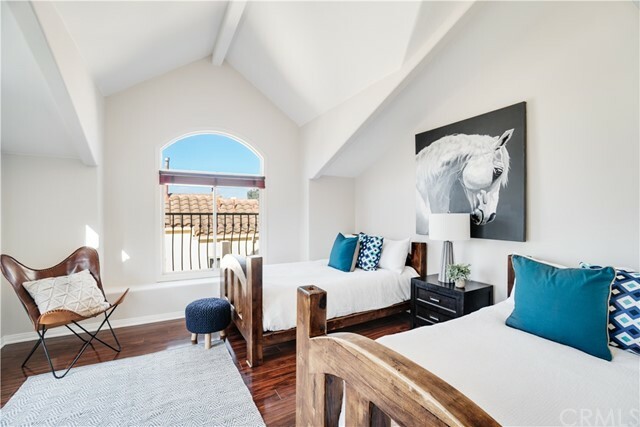 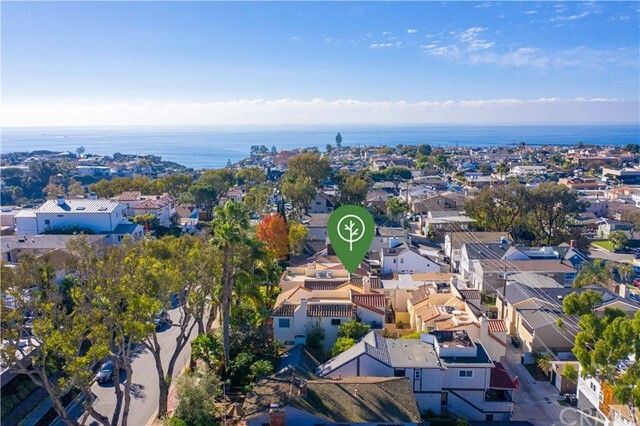 This entertainer’s dream home is ideally located on one of the most desirable streets in the Corona del Mar Village. 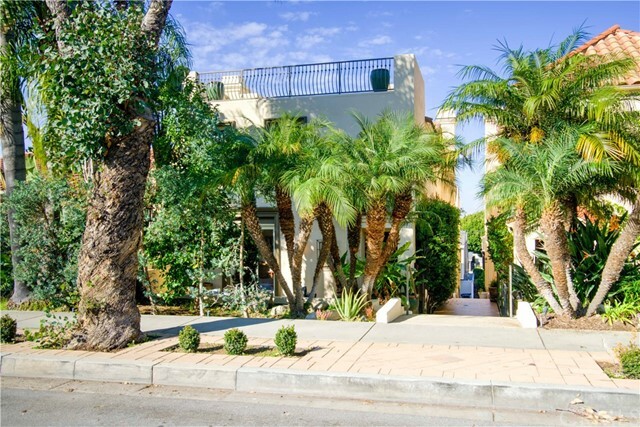 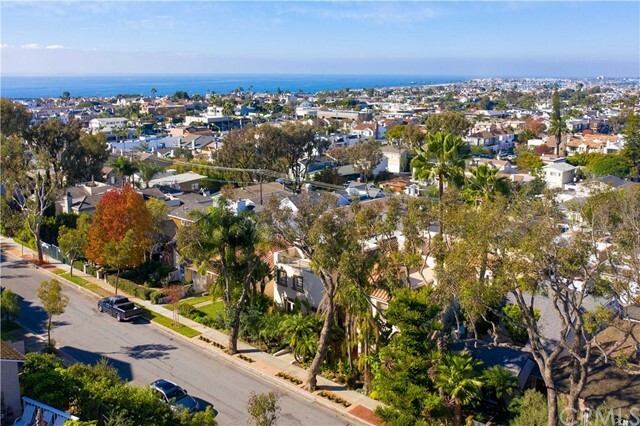 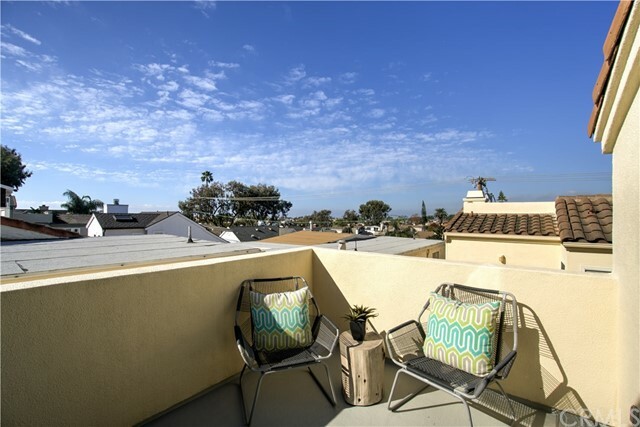 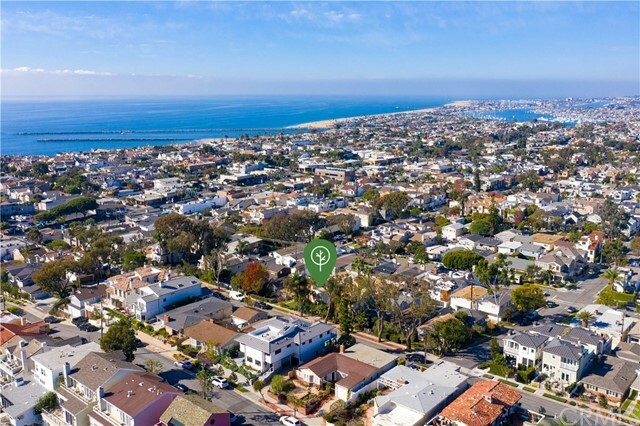 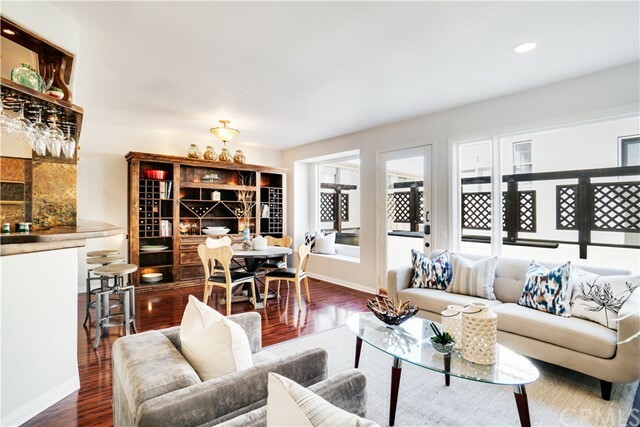 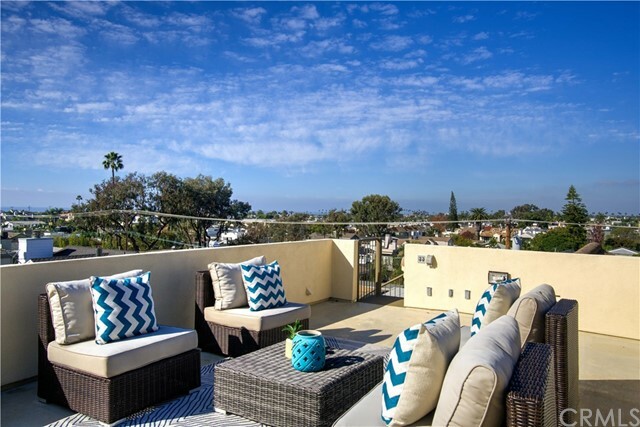 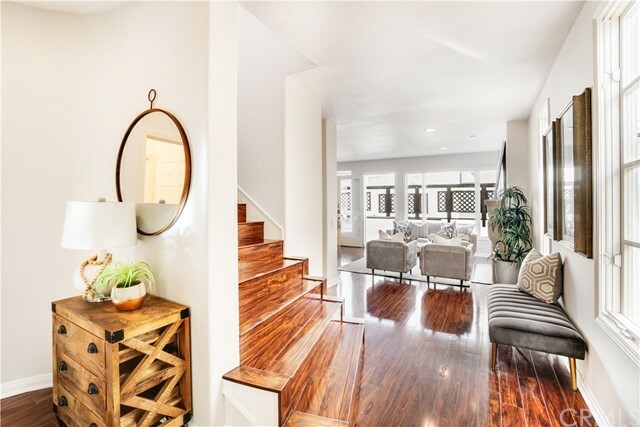 Situated North of PCH, this 1,856 square foot, three bed, three bath front unit is one to be coveted. 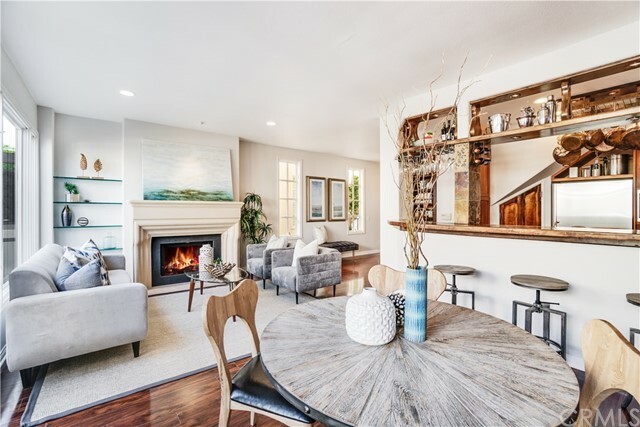 Upon entering this condo, one can really grasp the openness of this floorplan. 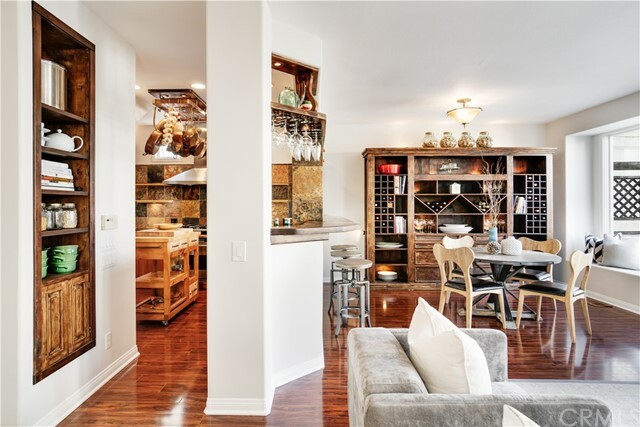 The kitchen, with bar seating for four, opens out to the dining, living room and back patio. 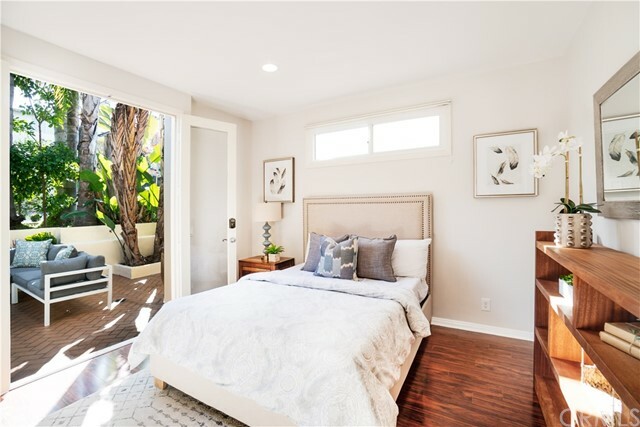 Picture windows allow for an abundance of natural light. 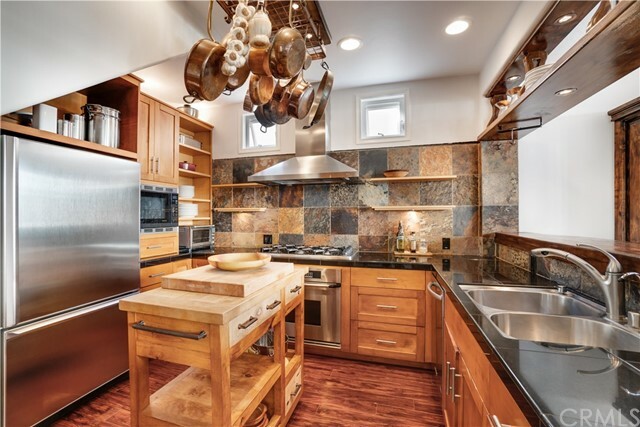 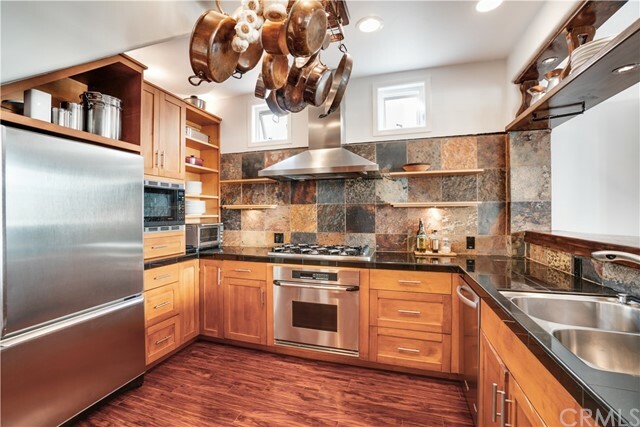 The kitchen boasts custom cabinetry, ample storage, stainless steel appliances and a six-burner chef’s stove. 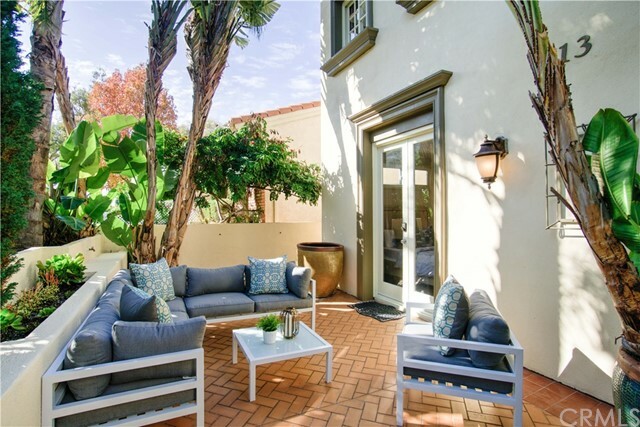 This main floor also includes a highly sought-after first floor bedroom, which has access to the private front patio. 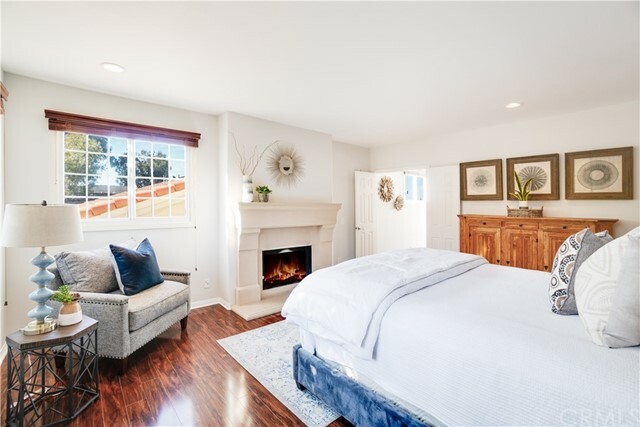 On the second level, the master bedroom offers a substantial walk-in closet and gas fireplace. 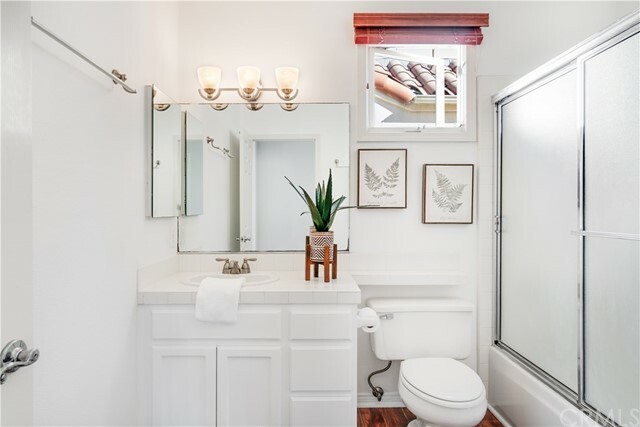 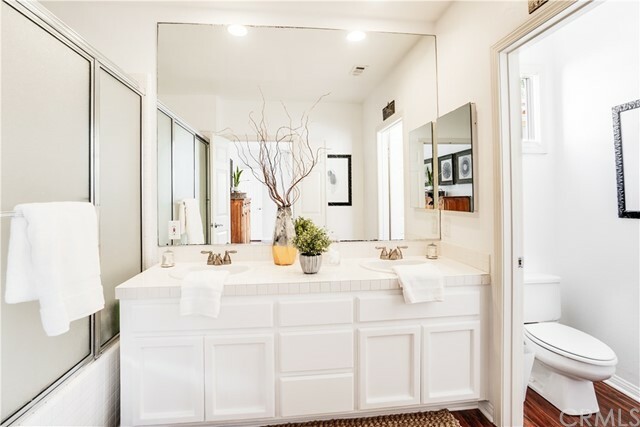 The master bathroom features a dual vanity. 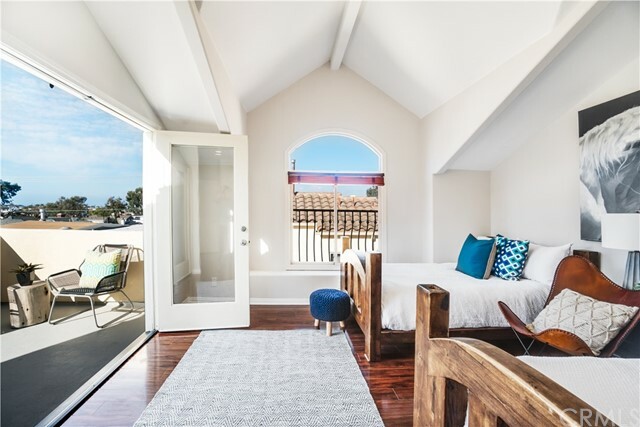 The secondary bedroom, with ensuite full bath, opens onto a large private patio. 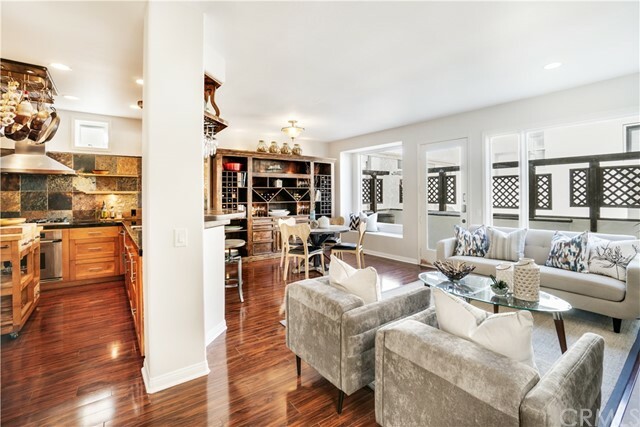 Feel at ease with a sizeable laundry area on this floor as well. 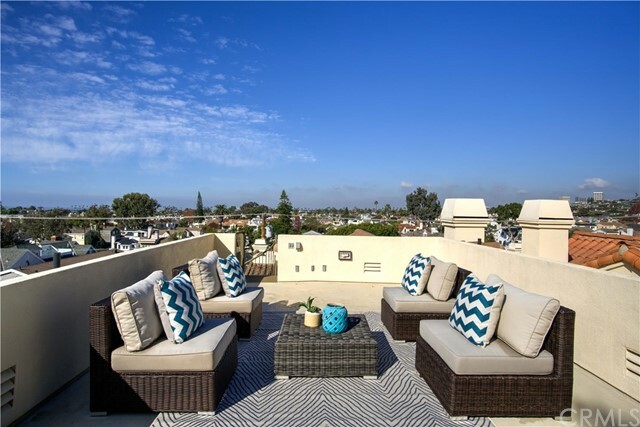 The expansive rooftop is not one to be missed, with 360-degree sit-down views of the ocean, neighborhood and city lights. 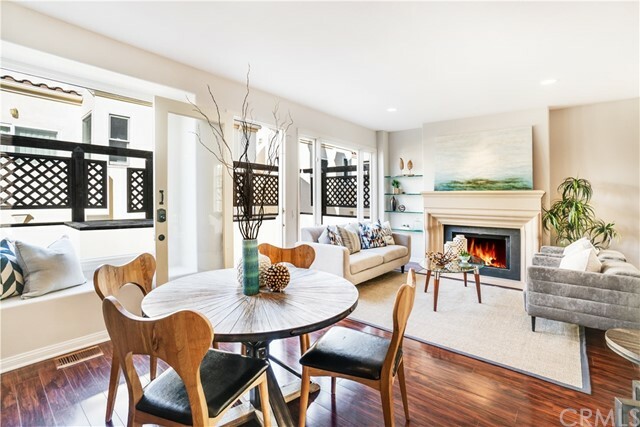 This Spanish style front unit is within close proximity to boutiques and diverse dining, including Zinc Cafe, Bandera, Quiet Woman and Five Crowns. 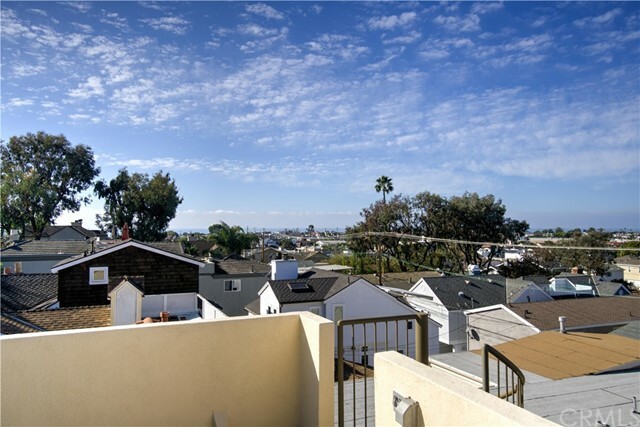 Only minutes to Little Corona and the other beautiful beaches Corona del Mar has to offer. 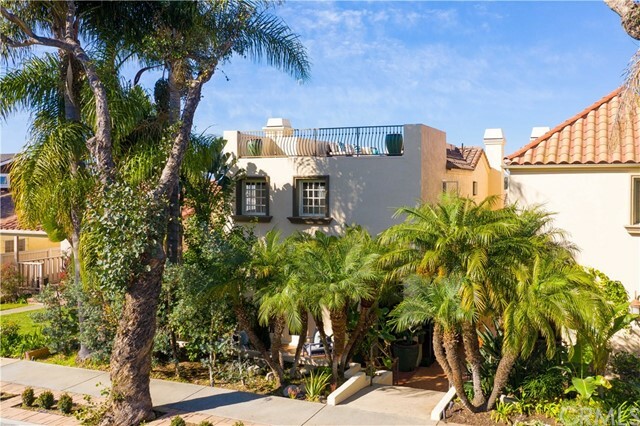 HOA includes exterior paint maintenance & homeowners' insurance.